Join us on Wednesday, September 18 from 4 pm – 7 pm at the Hartung Park Farmer’s Market in Wauwatosa for the second annual Haute Apple Pie Bake Sale for Team IZ and the Children’s Tumor Foundation. We promise some fall inspired baked goods including: cookies, breads, muffins, mixes and other sweet treats. All proceeds benefit the Children’s Tumor Foundation NF Walk in honor of Stef’s niece Izzy, who was diagnosed last year with the rare genetic disorder, neurofibromatosis 2 (NF2). NF is a genetic disorder that causes tumors to grow on nerves throughout the body. There is no cure nor are there effective treatments for NF. If you are unable to attend the bake sale and would like to donate to Team IZ, please click here. Your support is truly appreciated. The Milwaukee NF Walk will be held on Saturday, September 28 at Hoyt Park in Wauwatosa. Participants will walk a 2.8 mile route along the Oak Leaf Trail and Menomonee River. Join us for some fun including, Bango the Milwaukee Buck, the Wauwatosa fire and police departments, Jelly Belly treats, face painting, crafts and door prizes. It will be a great family day of fun for an important cause. To register for the walk, please click here. To learn more about NF, click here. If you live in the Milwaukee area and want to help out the Children’s Tumor Foundation, visit the Wauwatosa Yo Mama Frozen Yogurt on Sunday, September 8 between 11 am and 10 pm. Print out this post or mention the Children’s Tumor Foundation and 30% of the proceeds will go back to the foundation. It’s fro yo with a cause! Thank you all for your generous support and we hope to see you at one of these great events! You’ve virtually seen our treats for almost three years. Now it is time to taste them first hand at the very first Haute Apple Pie bake sale! On Wednesday, August 22nd, come to the Hartung Park Farmer’s Market in Wauwatosa (at the corner of the Menomonee River Parkway and Keefe) to purchase some delicious HAP goodies for a good cause. Six months ago, I’d never heard the word Neurofibromatosis. It has now become a regular word in our families vocabulary as our sweet four year old niece Izzy was diagnosed with Neurofibromatosis 2 (NF2) this spring. NF2 is a very rare disease, affecting less than 4,000 (only 400 children) in the U.S. It a genetic defect that stops cell growth in the nerve cells, which later develop into multiple, benign tumors throughout the body, called schwanommas. Almost 100% percent of patients with NF2 become deaf and may also experience issues with vision and blindness as well as facial and limb paralysis. 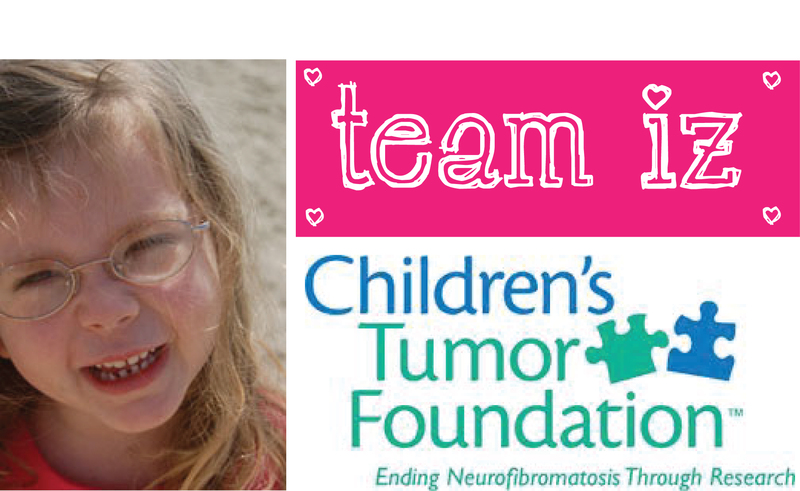 On September 15, Team IZ will be walking in the Children’s Tumor Foundation NF Walk at Havenwoods State Forest. It is a two mile walk to raise funds and awareness of NF1, NF2 and schwanommatosis. Family and friends are pulling together to help raise the greatly needed funds for this devastating disease. This is where you come in! The ladies and I will be selling some treats at the Farmer’s Market, with all of the proceeds going to the Children’s Tumor Foundation. So if you are looking for some muffins, cookies and other baked treats or to help a cause so very near and dear to our hearts, please come down. You can also peruse the fresh produce from some local farmers and if you are lucky, get some delicious grub from the Asian food truck that usually parks nearby! If you are unable to make the market and would like to donate to Team IZ, please click here. 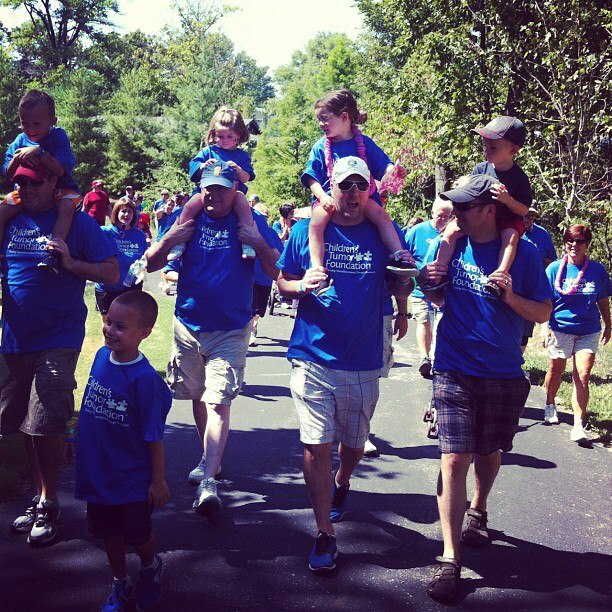 If you are interested in walking in the Children’s Tumor Foundation NF Walk, please click here. We look forward to seeing you next week at the market!